In many cases, the saying “An ounce of prevention is worth a pound of cure” is fitting. There is no situation in which this applies more than Skin Care. 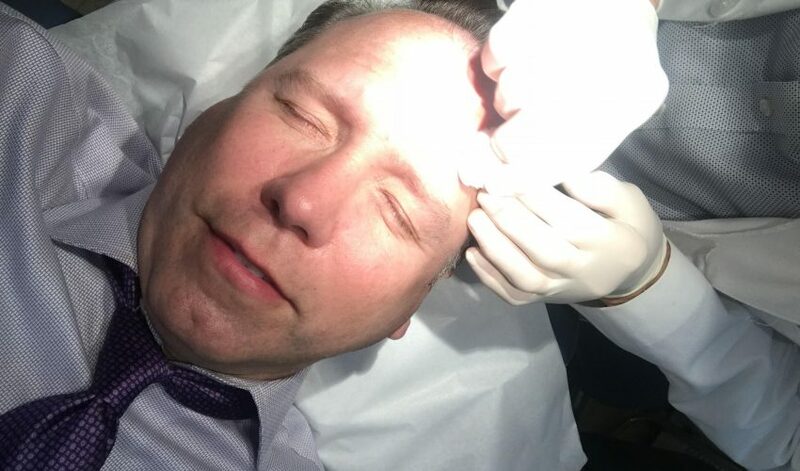 Recently I had several “bumps” removed from my face – nose, cheekbones, forehead – all over; especially the higher spots where the sun hits first. For those of us who do what we can to stay fit, healthy skin is a major sign of overall health. After all, your face is what everyone sees first. A smooth texture, without any blotches and splotches, is how I know I have been doing my best. I drink a lot of water during the day to counteract dryness and always use moisturizer. That said, with a new convertible and a trip to Bermuda a few weeks ago, I may not have been as cautious about the sun as possible. Yes, I always wear sunblock, hats, and sunglasses, but a few rays still got through. My dermatologist, Dr. William Long, of Manhattan Dermatology, Park Avenue, New York, has been caring for me and my face for over ten years. He’s the one I trust and my go-to guy. He’s absolutely worth the trip. I’m a TV guy, and as much as I don’t like to admit it, I wear make-up. Therefore, a good dermatologist is on my list of essential people in my life. What with the trip, the car and constant gardening, it’s impossible for me to totally avoid the sun. I like to be in the sun and I know it’s important to stay on top of it. Therefore, when I need to go in, I don’t wait, and I take care of my largest organ – my skin. I’m lucky to be around my CFO Paul Mitchell on the daily – he really is a bit of a Skin Care Junkie. Paul makes sure I have access to the best, latest and greatest sunblocks and moisturizers on the market. Speaking of the best sunblock, one of my Lifestyle Realtors, Clare Guest, carries a parasol to protect her skin from the sun. She is convinced black fabric is the most effective protection! So she carries an umbrella at all times, clouds or sun. I call her Clare-y Poppins. I don’t act like the sun is The Plague, as Clare does, nor would I ever tell anyone to stay indoors. I don’t hide from the weather, and I truly enjoy Mother Nature’s Vitamin D – sunshine! Plus, gardening is too important to me to stay inside on a bright, sunny day. That said, if I need to, I will also garden in the rain, the dark or even in the snow. I’m a Four Season Gardener after all! Just keep this in mind, no matter where your outdoor adventures take you – treat your skin well, hydrate, and take care of yourself. That way you can enjoy life to the fullest, and look good at the same time!